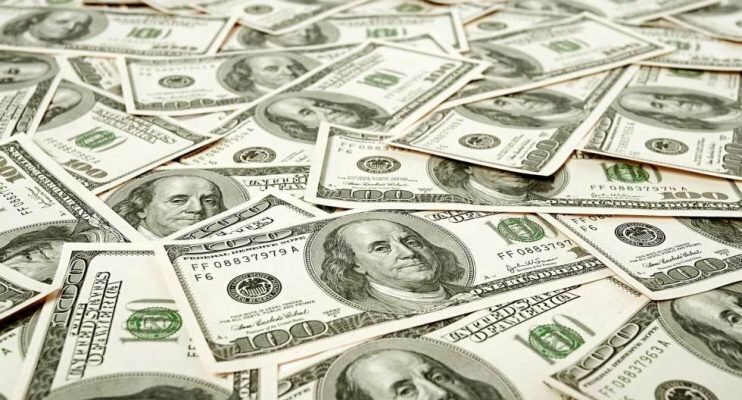 As the Central Bank of Nigeria begins the implementation of the $2.5bm currency swap agreement, financial experts have said that the deal would rapidly boost Nigeria’s foreign reserves position within the next few weeks. The analysts said this during separate telephone interviews with our correspondent on Friday. Those that spoke are the Head, Banking and Finance Department, Nasarawa State University, Keffi, Prof Uche Uwaleke; a former Managing Director of Unity Bank Plc, Mr Rislanudeen Mohammed; and a former Director-General, Abuja Chamber of Commerce and Industry, Dr Chijioke Ekechukwu. The CBN on Friday commenced its intervention in the sale of foreign exchange in Chinese Yuan under the agreement. The implementation signalled the consummation of the Bilateral Currency Swap Agreement signed with the People’s Bank of China on April 27, 2018. Uwaleke said the transaction, valued at Remnibi 16 billion, or the equivalent of about $2.5bn, would provide adequate local currency liquidity to Nigerian and Chinese industrialists and others. This, he noted, would help to reduce the difficulties encountered in the search for third currencies in the execution of business transactions between Nigerian and Chinese industrialists. He said, “With Chinese exports accounting for about 80 per cent of the total bilateral trade volume, it has been argued in some quarters that Nigeria does not stand to reap any commensurate benefit from the deal given the large trade imbalance in favour of China. “Nonetheless, it is pertinent to observe that asymmetric trade in favour of China can be tackled within the framework of the agreement. It is safe to conclude that the swap arrangement is being established in the context of the rapidly growing bilateral trade between China and Nigeria. Therefore, the currency swap would boost trade between China and Nigeria. When asked if the agreement could help in strengthening the naira, he said the pressure from Nigeria traders on demand for dollars would reduce, thus improving the value of the naira. Uwaleke said, “The currency swap deal is also expected to strengthen the naira since Nigerian traders, who import mainly from China, can now conclude their transactions in the yuan instead of the dollar. Without doubt, a currency swap deal with China, as the experiences of other countries have proved, is a win-win situation, according to him. “It is not for nothing that many developed and developing countries are queuing up to sign currency swap agreements with China – the second biggest economy in the world,” he added. Mohammed said the implementation of the agreement would minimise foreign exchange denominated risks for Nigeria. He stated, “In the context of minimising concentration risk of having our foreign exchange denominated in the United States dollar alone, this is a positive development. Secondly, in view of our huge imports from China, this agreement will help in reducing the time as well as transaction costs by eliminating third-party currency deals. “Reduced transaction costs will make goods imported from China cheaper to both importers and ultimately Nigerian consumer. Also, Ekechukwu said the agreement would help to reduce the exchange rates between both countries. He said, “It is an agreement to exchange currency between two foreign countries or parties. The agreement involves swapping principal and interest payments on a loan made in one currency for principal and interest payments of equal value in another currency. “In the case of Nigerian and Chinese currency swap agreement, it is a win-win situation for the two countries as it will foster seamless business relationships between them.